Bangalore city now has its own Rudraksha Ratna and those looking for spiritual healing and spirituality can shop for Rudraksha items from the below given address. Rudraksha is traditionally used as a prayer bead and due to its organic nature is strung in thread without any contact with metal. Rudraksha also benefits those people who are frequently on the move and eat at various places. In a city as big and busy as Bangalore it is a normal event for people to travel to work at far off locations and eat outside. Wearing a Rudraksha mala in Bangalore city would help the wearer by wrapping their own energy and protecting them from outside negativities. The rosary made with Rudraksha beads are used for meditating as well as it has medicinal properties. Some of the medical healing properties of Rudraksha and Gemstones are in regulating blood pressure, curing sleep disorders, headaches, digestion issues, depression, stress, etc. Rudraksha Ratna was founded in 1997 to promote and educate about the benefits of Rudraksha to people who were skeptical about using it. We not only provide our clients with the best Rudraksha products but also encourage them to tell us about their experiences that we implement in our continual research on product development. 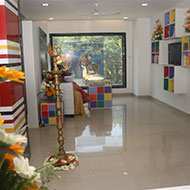 We also organize exhibitions in various cities in India as well as abroad. This is the world’s first ISO certified organization dealing with Rudraksha. The other products that we have expertise in are Gemstones, Yantras, Parad, etc. Rudraksha Ratna Science Therapy is a science of Rudraksha and Gemstones and their usage. It was formulated after extensive research by the Chief Executive Director of Rudraksha Ratna, Neeta Singhal. This science involves a session with the client where he/she mentions their problems and helps the therapist/counselor to identify the root cause of the problem and thereby suggest the appropriate gemstone or Rudraksha for them to shop. Neetaji devised this therapy after years of research in this field and taking inputs from the Puranas and Upanishads. Her research also included consulting her clients and interviewing them about their experiences after using Rudraksha products. Based on a person’s issues his /her mental and emotional blocks, as well the effects of the planets are gauged and then the remedies are suggested. Bangalore city can now look forward to such benefits from Rudraksha Ratna and people can shop Rudrakshas. 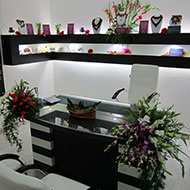 Get counseled on the right way of choosing a Gemstone that takes care of your issue and know how and when to wear them. We also hold exhibitions and events such as meditation and Chakra awareness sessions in your city. Contact us to know about our Chakra Yog Workshop schedule. Being born into a spiritual family of astrologers with decades of experience in Astrological Sciences, Shiv Shanker Jha was introduced to the world of Astrology at a very young age by his father who is a rtd. Religious Teacher in the Indian Army. He had a natural inclination towards the subject and gained deep knowledge on planets, chakras and their effects on human life. Having been greatly inspired by the teachings of Swami Vivekananda he was on his quest for ways to serve humanity and had a chance encounter with the miracle bead - Rudraksha. His next natural course of action was to experience its effects. After having had life changing experiences from them, he decided to learn, master and spread the knowledge obtained to heal people of pain and stress and to empower them to lead a healthier, happier and peaceful life. He is a trained RRST (Rudraksha Ratna Science Therapy) holistic therapist. He has the ability to connect with and deeply introspect people's lives, analyze ailments and provide accurate remedies through Rudraksha and Gems. His other areas of expertise are Sudarshan Kriya and Yoga.